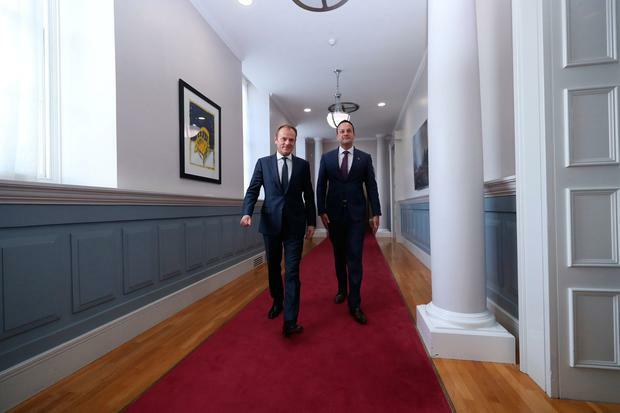 TAOISEACH Leo Varadkar is meeting with EU Council President Donald Tusk in Dublin today. Mr Tusk is in Government Buildings for the meeting ahead of this week’s EU Council summit later this week. Yesterday he met with Angela Merkel in Germany and Emmanuel Macron in France. He did not take questions from the waiting media and is not expected to make a statement after the meeting. 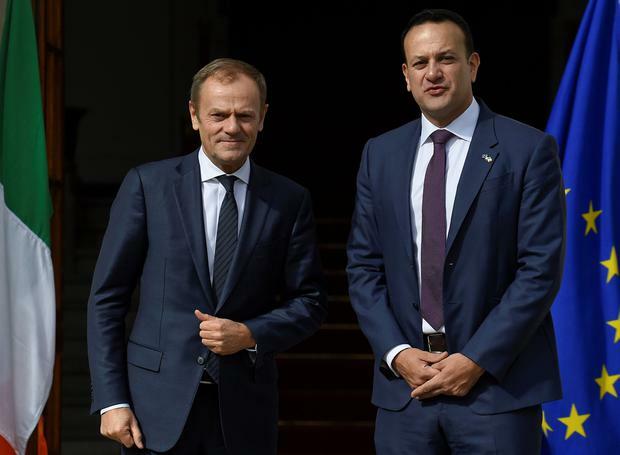 However, a Government spokesperson said Taoiseach Leo Varadkar and EU Council President Donald Tusk agreed that proposals must emerge from London ahead of Thursday's summit of EU leaders. Theresa May is expected to write to the EU today or tomorrow to outline her request. 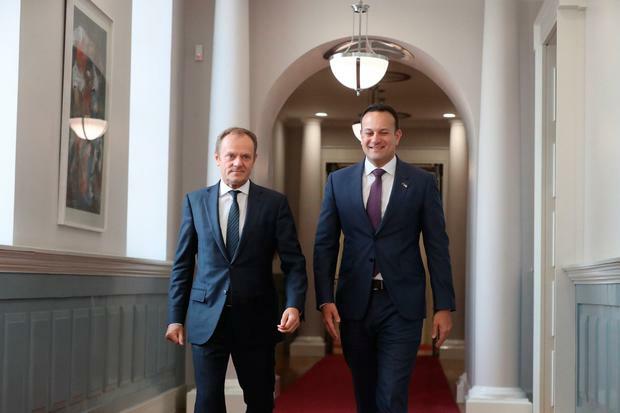 A government spokesperson said: "President Tusk expressed the strong and ongoing solidarity with Ireland of the European Council and European leaders. "Meanwhile, preparations continue in Ireland and across the European Union for a no deal scenario, which would have serious consequences for all concerned." Tanáiste Simon Coveney meanwhile is meeting in Brussels with the EU’s chief Brexit negotiator Michel Barnier and the EU parliament's Brexit coordinator Guy Verhofstadt. Meanwhile in the UK prime minister Theresa May is considering a route out of the current parliamentary crisis in the UK following a surprise ruling from speaker of the House of Commons John Bercow who ruled that she cannot bring her divorce deal back for a vote if it is not substantially changed. 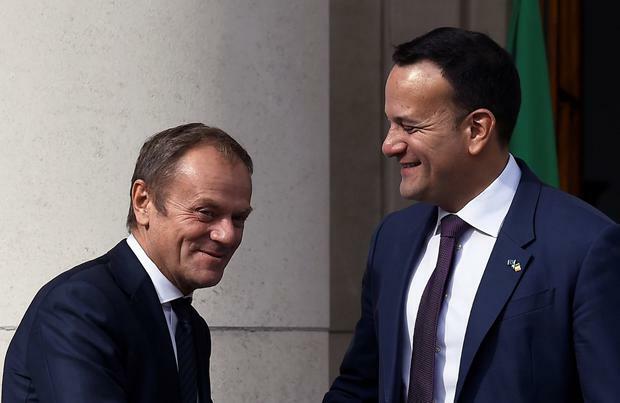 It is expected that she will request an extension from EU leaders this week and Mr Tusk will be discussing the potential developments and the bloc’s response with the Taoiseach today. German Chancellor Angela Merkel, said: "I will fight until the last minute of the time to March 29 for an orderly exit. We haven't got a lot of time for that." However, in France there was a blunter assessment of the current state of affairs. As the UK government grapples with how to meet the test set out by Mr Bercow the country’s Brexit minister Steve Barclay, who last week said Britain should not fear a no-deal exit, said a change in context might be sufficient to meet Bercow's test. "The speaker himself has pointed to possible solutions," Barclay said. "You can have the same motion but where the circumstances have changed." "The speaker himself has said that, where the will of the House is for a certain course of action, then it is important that the will of the House is respected."